Metis is a cloud-based project management software for small businesses with teams up to 100 people. 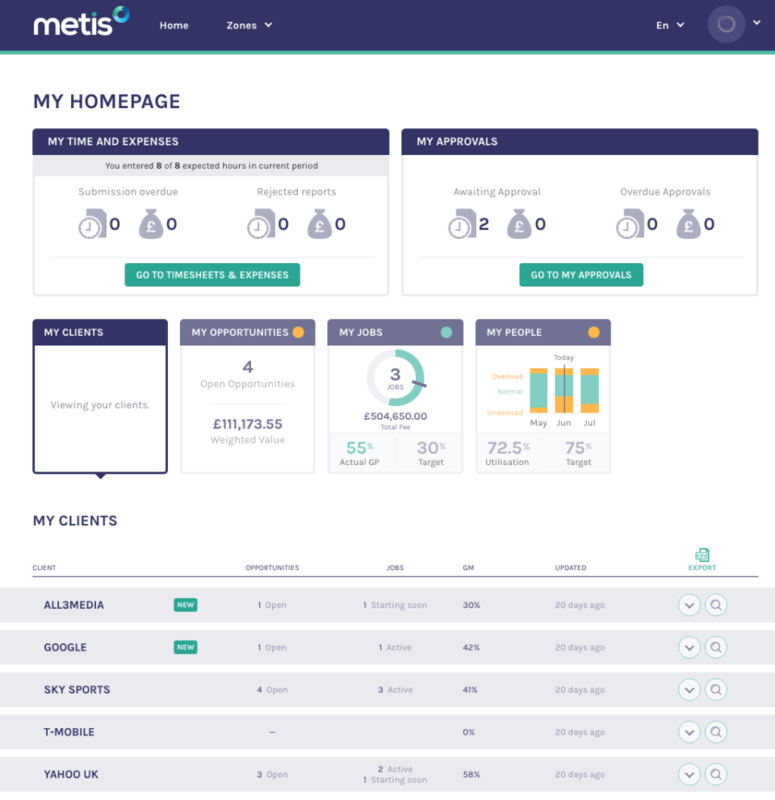 Metis brings together sales pipeline management, job profitability control, resource planning, timesheet data, and expense captures into a single platform accessible to the whole team. With a series of strategic management dashboards, Metis provides an integrated view of business operations that makes it easy to glean important insights at the click of a button. The software’s “20:20 foresight” framework makes for a holistic solution to keep track of business plans, team efficiency, and project profitability. Not sure if Metis is right for you? Use our Product Selection Tool to compare other project management solutions. Have questions? Call one of our unbiased Technology Advisors for a free consultation. Learn everything you need to know about Metis. Our experts will reach out to you shortly.